A report from CBS Evening News is one of many that demonstrates how the false prices are given by Healthcare.gov and what the high prices of this so-called “affordable government healthcare” really are. A healthcare law that the Democratic Party alone forced on America, promising it would be affordable and even cheaper than before. 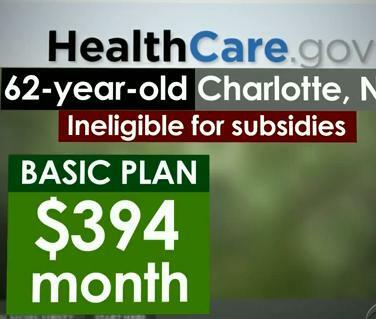 So, the false plan costs $394 per month or $4,728 per year. The true plan under the Healthcare law costs $634 per month or $7,608 per year. 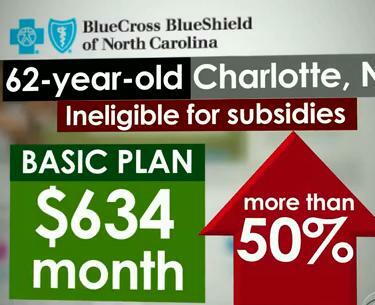 That is $240 more per month and $2,880 more per year. Why are the prices wrong? Because Healthcare.gov deliberately excludes the age of the person. This means that the Democratic Party and its Healthcare law and the law’s method of communication (Healthcare.gov) are deliberately misleading Americans about the true cost of a product that they must buy or be fined by the government. The government is under the control of the Democratic Party. Why would the Democratic Party mislead Americans about the new excessive costs of health insurance? Because Democratic Party politicians alone forced higher prices for health insurance on the people and forced them to buy it by law. These Democrat politicians know that many of their peers will lose reelection unless they try now to mislead and distract the people about the excessive cost of healthcare and their lead role in it.